An estate planning attorney can provide you with a wide range of benefits. An estate plan is more than a will. It outlines your desires and wishes, but also can include additional components that create legally-binding requirements at the end of your life and after your death. A small mistake in these documents can lead to the loss of your desired outcome. By working with an estate planning lawyer, you’ll create an estate plan that’s legally sound and reliable. Consider five of the best reasons to hire these professionals. State laws layout the groundwork for estate plans. They outline what needs to be done, what can and cannot be included in the estate plan, and the process for probate, the legal process your estate goes through after death. These details include specific rules about wills and trusts, medical and financial power of attorneys, and personal representatives. These complex laws make it difficult to plan an estate without legal supervision. Estate planning attorneys work hand-in-hand with individuals to create plans that meet specific needs. In doing so, they reduce the risk of costly mistakes. For example, in some states, limitations are present on who can serve as an executor of the will. Someone that is out of state or does not meet other specific standards outlined by state laws may not fit the legal requirements. Naming this person or creating details within an estate plan that do not adhere to requirements could mean costly changes in these plans down the road. For some people, a simple will is enough to outline wishes for after death. For others, though, there are more complex factors. Planning trusts, for example, for grandchildren, pets, charity needs, or other complex scenarios requires more planning and more complex legal proceedings. However, these tools can create an excellent way to protect assets. 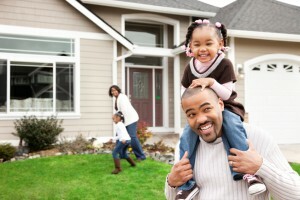 For those who have minor children, having an effective, well created plan is essential. With the aid of an attorney, you can ensure your estate plan meets the needs of your family including providing for guardianship, finances, and long-term needs such as college planning. It can separate who cares for your children from who controls the finances. It can help you make decisions about the needs of special needs children. When working with an estate planning attorney, you can modify your plan at any time. Doing this yourself can be time consuming and places more risk of errors with each change. Moreso, you’ll want to ensure an attorney is always available to answer questions both now and when your plan goes into action. In short, an estate planning attorney ensures all of your options are considered and planned for. It allows you to organize a structured solution to your specific needs that meets all state requirements. And, it gives you peace of mind knowing your wishes are legally binding. Tell me how I can assist you using this form and I will contact you within 24 hours to discuss your case.